Recently you might have read/heard about actor Abhay Deol's witty comments on the non-fair business of fairness product advertisement. I would say, he had guts to take this out of the league yet daring stand. He pointed out how well-known celebrities such as SRK, Deepika, Sonam Kapoor, John Abraham (endless list) have been promoting skin fairness products to our endorsement savvy society. Obviously, business houses and celebrities are free to do anything, as there isn't specific defining law outlined for advertising claims truthfulness. Above all, Abhay Deol or I am not opposing on the basis of legality, but on the morality. 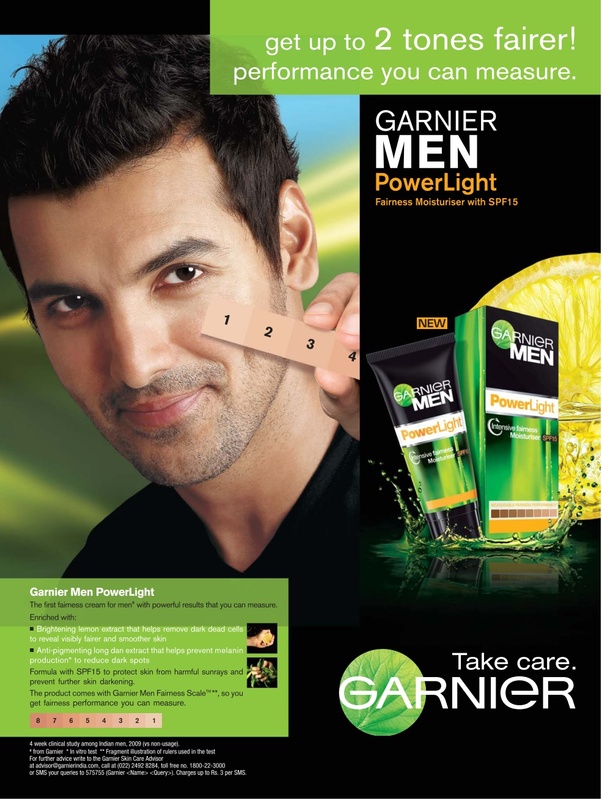 Ads impose an image of a girl or a guy on basis of fairness of skin. He or she would get a good job, a successful career, even better-looking life partner, if he/she glows like the white elephant. The question arises that whose responsibility it is to curb such nonsense. You would say, if they are guilty then why are we need to take responsibility. 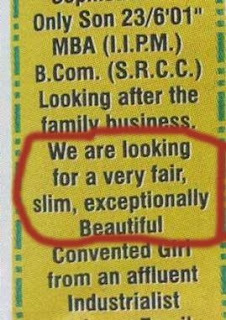 Because, business houses are that much clever that, they have understood that how much, the fairness of girl defines her status in home/society. We want Gori Gori wife, Gori Gori beti and Gori Gori daughter in law. 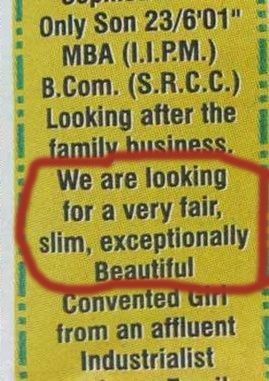 Our description of girl starts with her complexion and not with her qualifications. 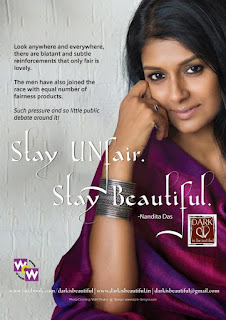 Dear society, don't ask for fair skin bahu, ask for bahu with fair nature. In my view, there is lot more racism the Indian people face than there ever in USA or Africa, Many of times people face difficulties in their house also due to dark skin. Dear film stars and cricketers, people in this country follow your advice very sincerely. They resemble the image you represent in your actions with yourself. They misunderstand that SRK or Deepika could get this success due to fairness. Even, the God of cricket (Sachin) had humbly given credit for energy on a field to energy drink brand "Boost". Really Sachin?? Above names are few of all culprits in a misleading brand endorsement. Brand houses do get these endorsements by offering crores of rupees to celebs. And celebs, don't care about their fans, because of whom you are at Mount Everest of publicity. So please, behave yourselves. You have your PR teams, let them make scrutiny of the product that you are going to endorse. It is of course the White Lie that you present in the media. We know that every business runs to earn a profit and sometimes business people have to take unusual decisions for the same. But, brands need to curb negative points in society rather than taking it as an opportunity for the revenue generation. When detergent companies like Tide, Rin or Surf Excel shows a perfect white dhulaii (wash), it is even better than a new one. Really?? When we wash clothes, in reality, it doesn't wash 5% near what you show in ads. So, please show the truth or nothing. Last week, this issue had been discussed in Rajyasabha. In the latest development, an inter-ministerial panel is discussing a draft bill prepared by the Consumer Affairs Ministry, which seeks punishment for celebrities who endorse products that are substandard or make misleading claims. The stringent provisions in the bill include a fine of Rs 10 lakh and jail of up to two years for the first offence by a celebrity. For subsequent offences, the draft bill provides a fine of Rs 50 lakh and a maximum five years jail sentence. A lot of experts have questions on who is a celebrity and what does misleading stands for? 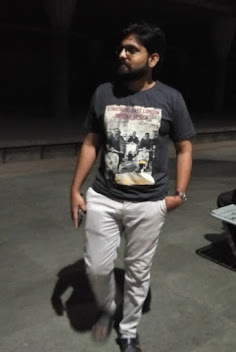 It is just a personality that has been added to the brands. But it is manipulating society's values and culture. "Thumbs up" drink shouldn't be the only cause of doing something "toofani". "Mountain Dew" doesn't really get the fear off you. Branded perfumes won't make girls running behind you. So, today's fashion statement should be "Be Original" than being "Fair" or "Pimple Free" showpiece. Note: Above viewpoints are completely from the author's mind and not to be implied to malign the image of any brand. It is just for analysis purpose. Thank you for reading. Please subscribe (Follow) the Blog.